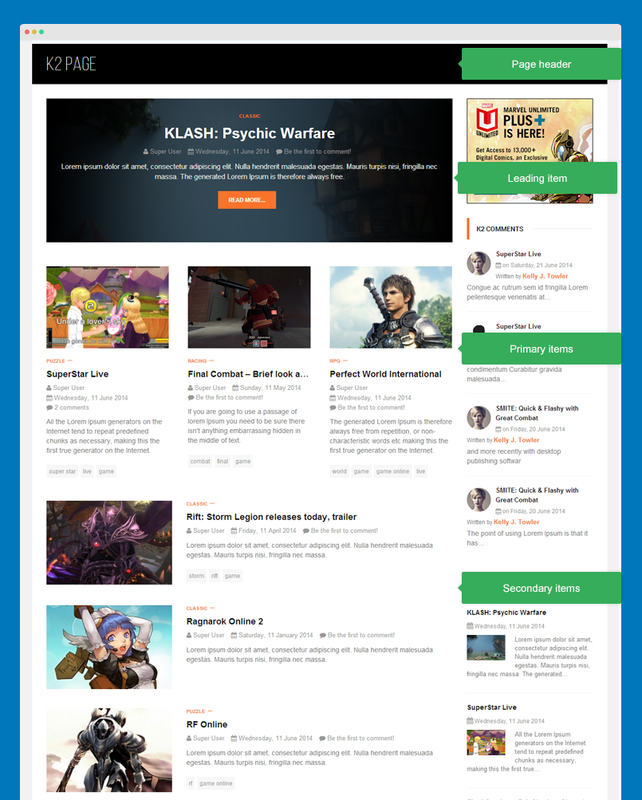 JA Playmag template supports K2 by default with customized style. 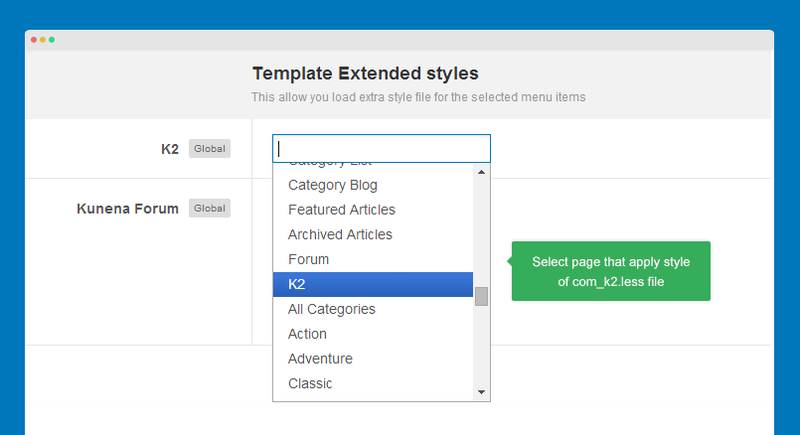 The customized style is included in the template, what you have to is installing the K2 component to your Joomla system and configure. 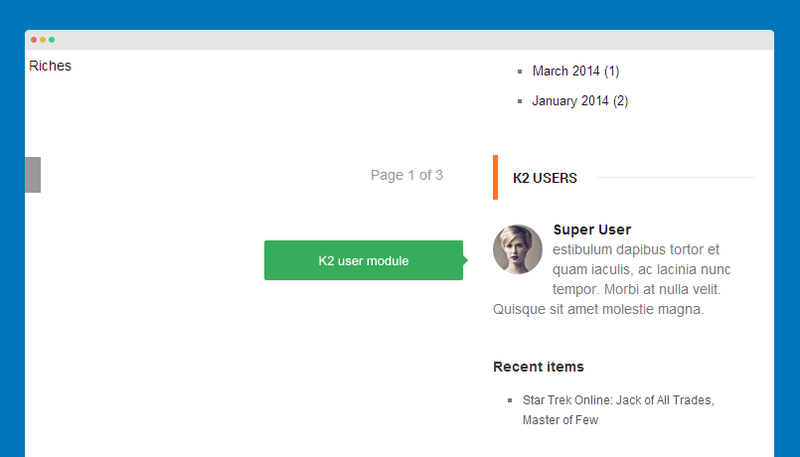 Here is the steps to install K2 component to your Joomla system. 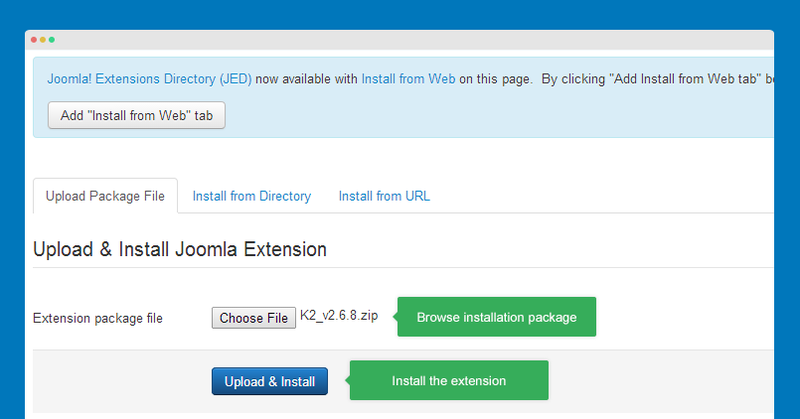 From back-end of your site, go to: Extensions >> Extension Manager. Browse the K2 installation package then install. 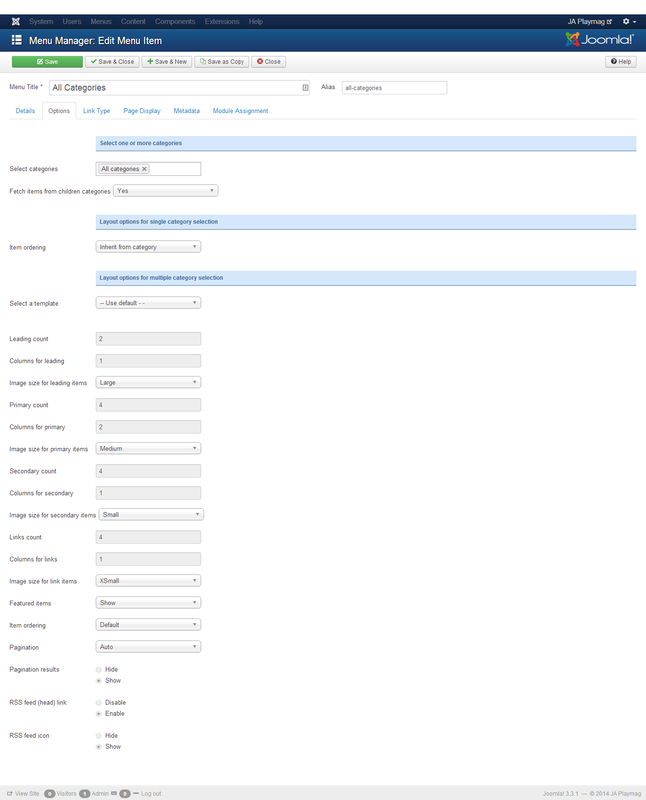 To configure the global settings of K2 component, please go to: Components >> K2 then hit the "Parameters" on the top right corner. 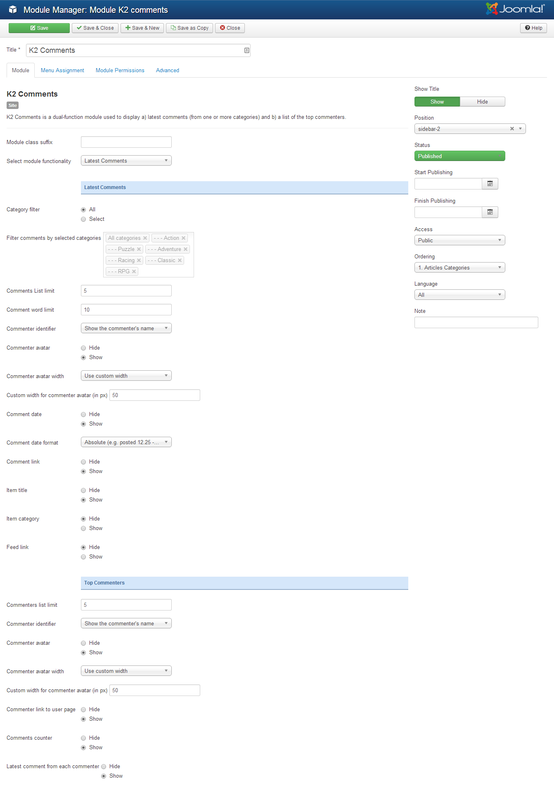 In JA Playmag demo, all settings of K2 component are default settings so we don't add setting screenshots. 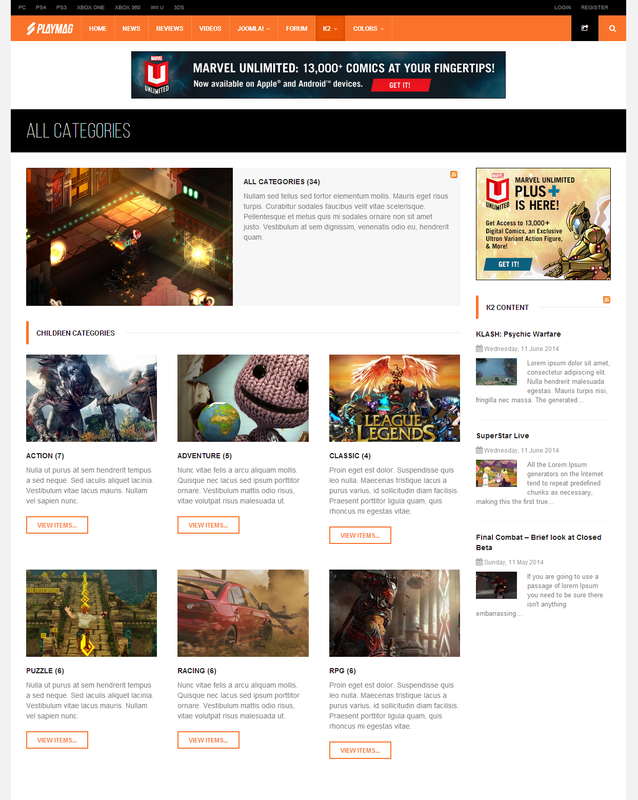 The category configuration is based on JA Playmag demo. Other categories have same settings with "Action" category. 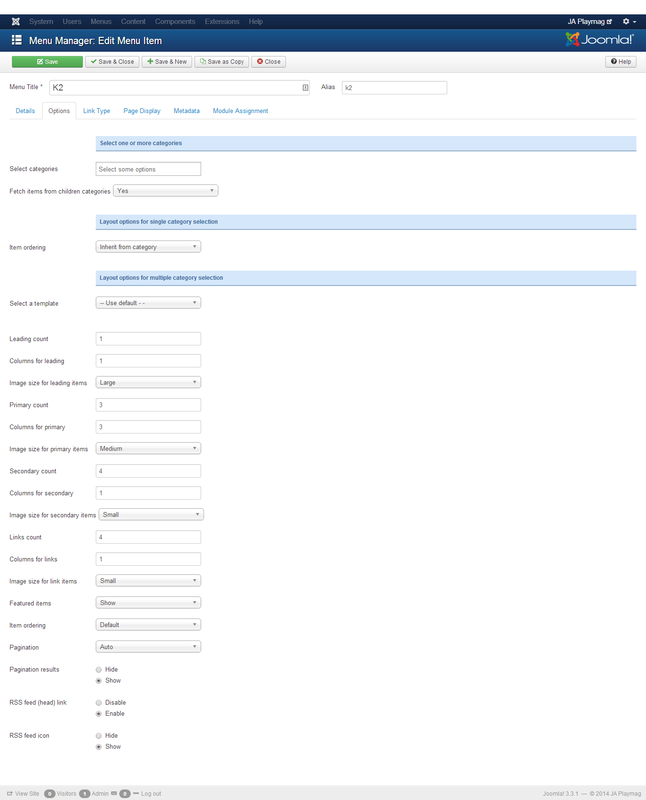 The menu type displays items from one or many categories with leading items, primary items and secondary items. 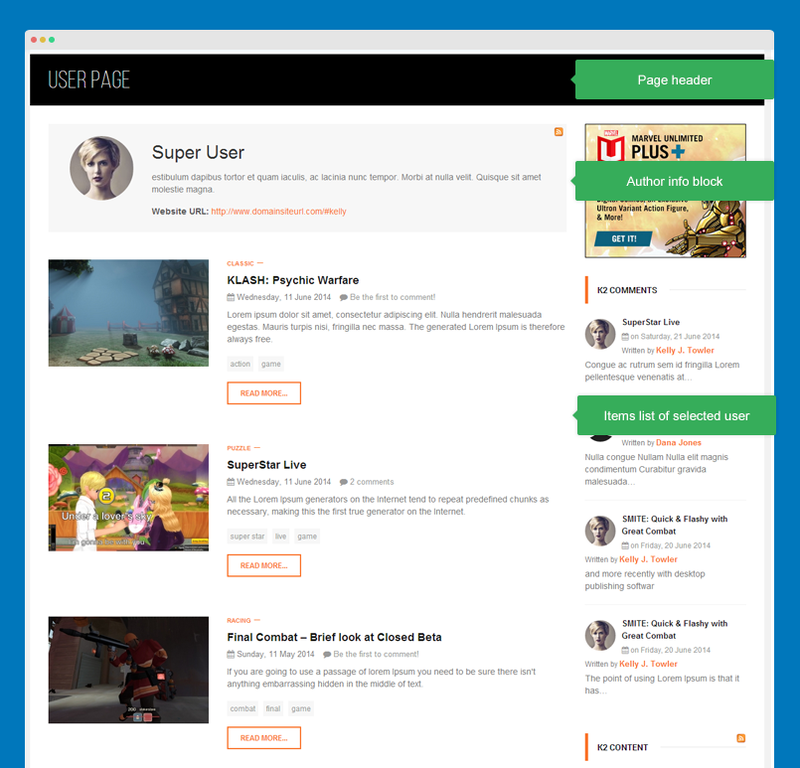 The menu type displays list of sub-categories. The menu type displays items of one tag. 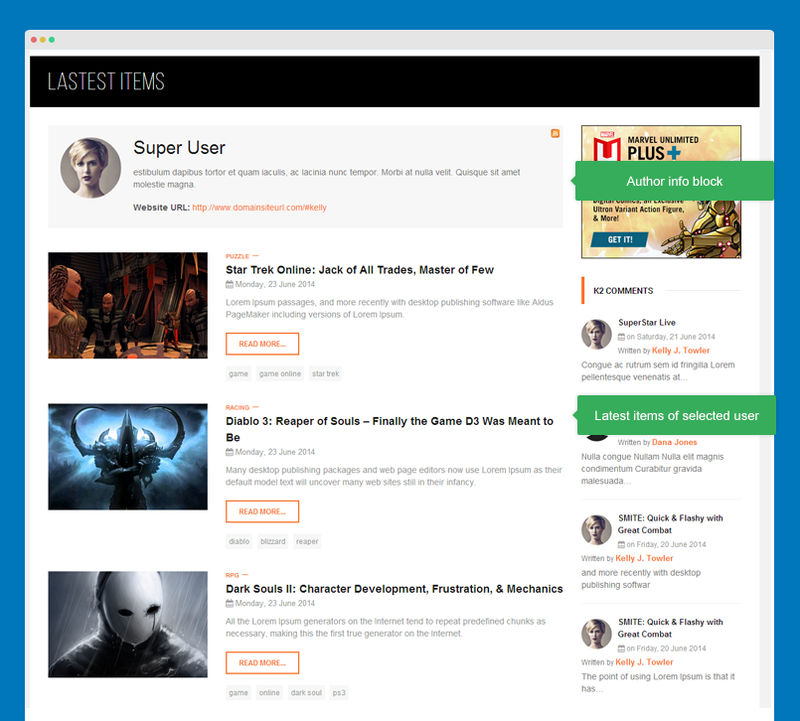 The menu type items of one author (user) as blog page. 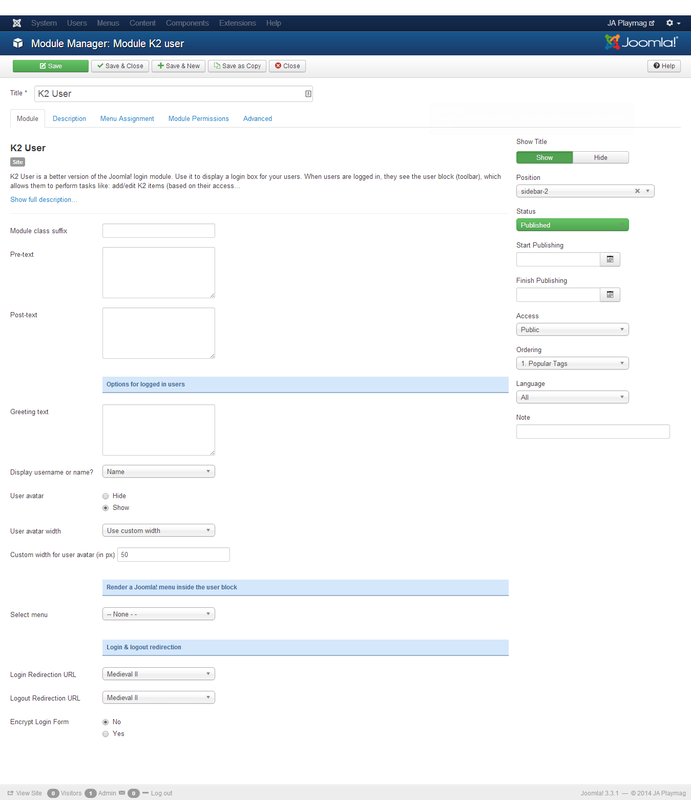 We put all customized style of K2 into a .less file so that it's easy for you to find the customized style and change the customized style or add new customized styles. 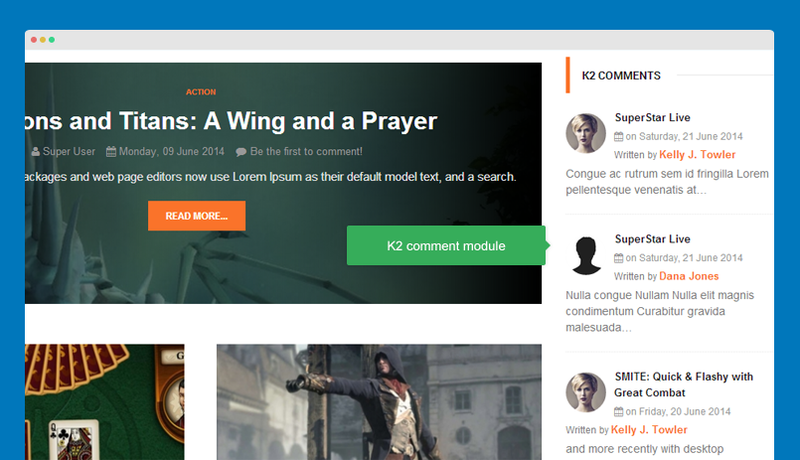 The customized style file of K2 is templates\ja_playmag\less\k2.less. 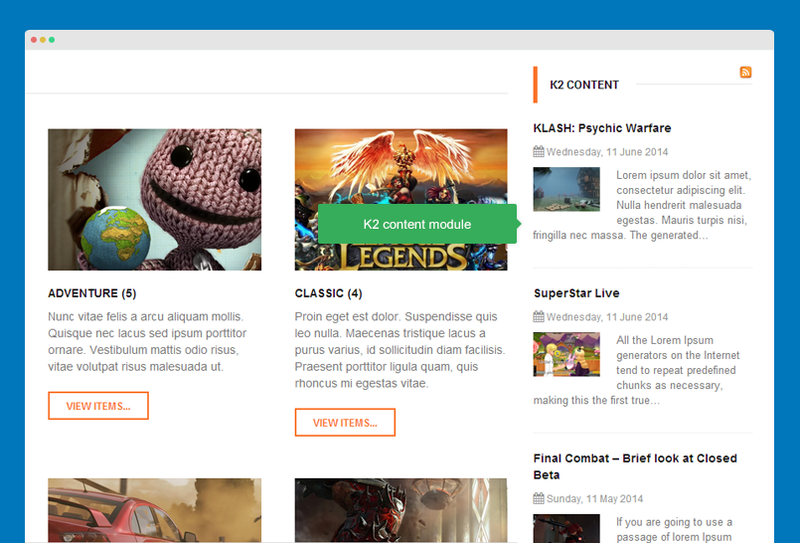 For the styles, you have to add to the file: templates\ja_playmag\less\extras\com_k2.less. By default, the file is empty. 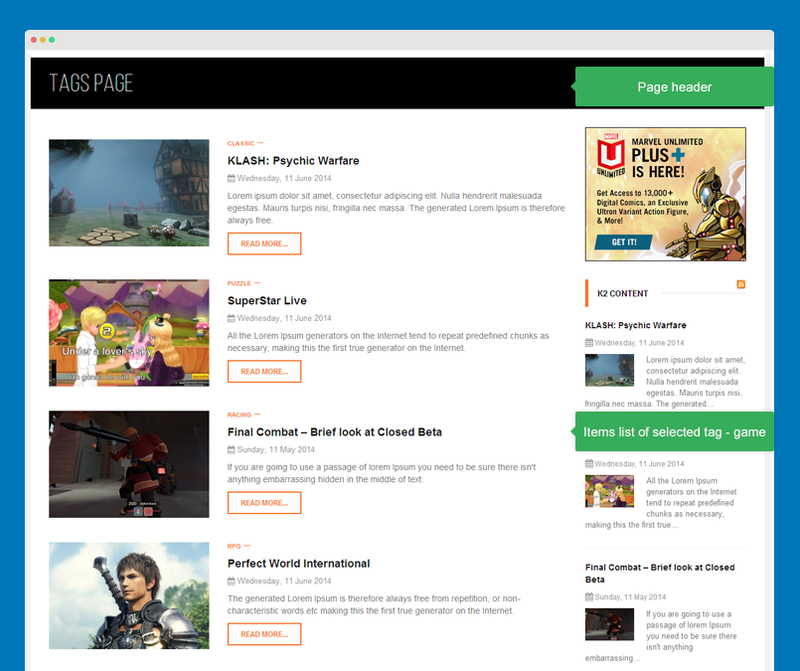 Open template style manager of JA Playmag, in the "Add-ons" tab, you will see the "Template Extended styles", select the K2 pages that you want to apply the your customized style. If you leave it blank, it's not applied for any page.